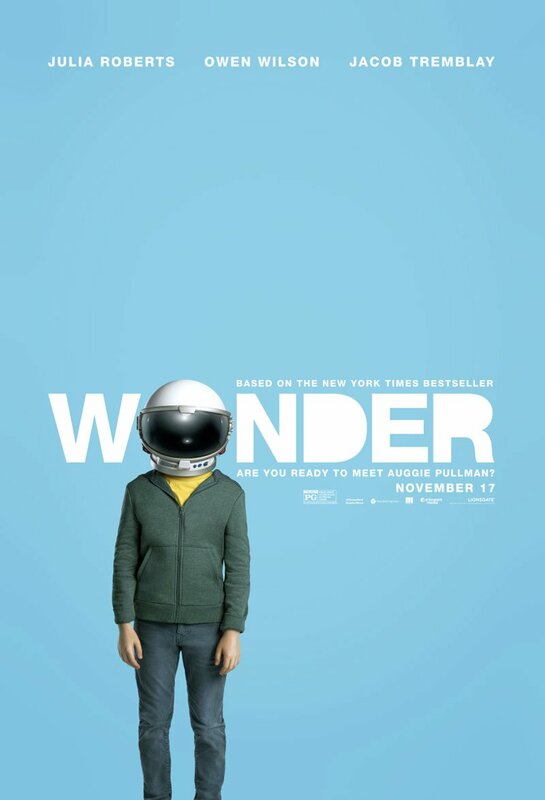 Lionsgate debuted the trailer and poster for their upcoming drama film, Wonder. Based on the tree books, Wonder, Auggie & Me and 365 days of Wonder. It stars Julia Roberts (Isabel) and Owen Wilson (Nate) as the parents of a young boy struggling to overcome a facial difference, portrayed by Jacob Tremblay (Auggie). The cast also includes Mady Patinkin as Mr. Tushman, Daveed Diggs as Mr. Browne, Sonia Braga as Isabel’s Mother, and Millie Davis as Summer. “Based on the New York Times bestseller, the film tells the incredibly inspiring and heartwarming story of August Pullman. Born with facial differences that, up until now, have prevented him from going to a mainstream school, Auggie becomes the most unlikely of heroes when he enters the local fifth grade. Directed by Stephen Chbosky, which features an adapted screenplay by Jack Thorne and Steve Conrad. Michael Beugg, Dan Clark, David Hoberman and Todd Lieberman serve as producers. Wonder is set to hit theaters on November 17, 2017.